Handmade jewelry is made in silver wire. They give a rustic look. 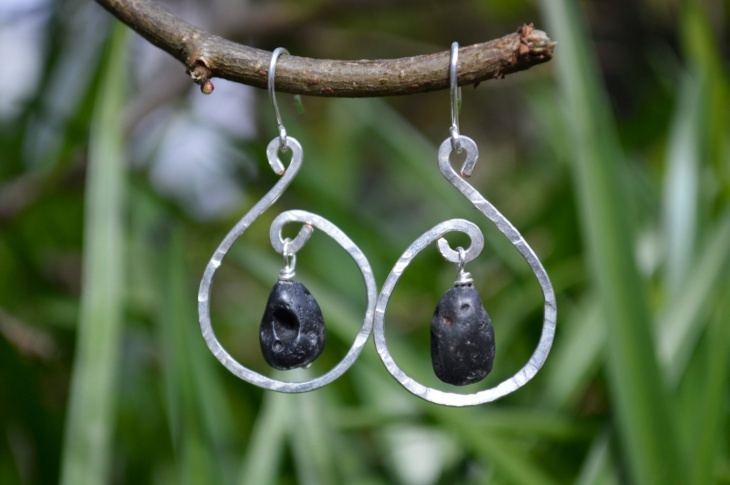 You can take a look at the wrap earrings that also have stones embedded in them. 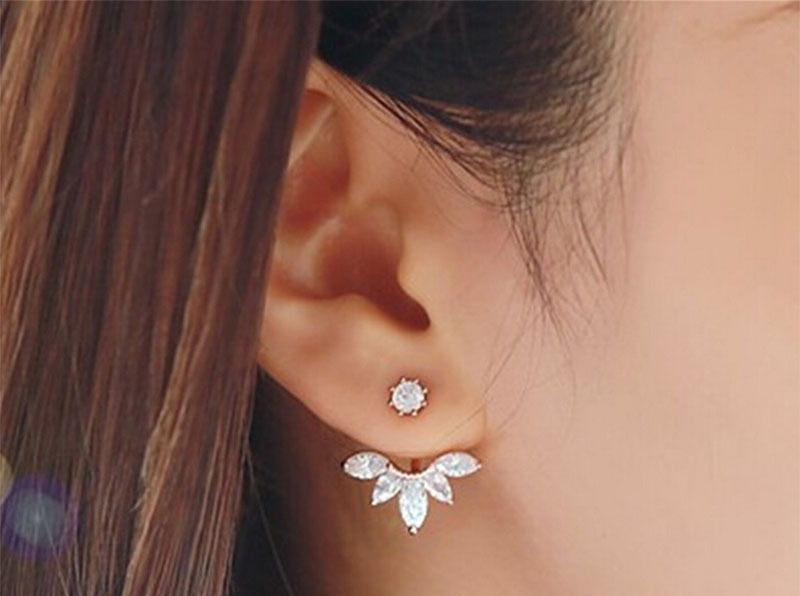 These are cute earrings that have an original design. They look authentic in design. They are also durable. 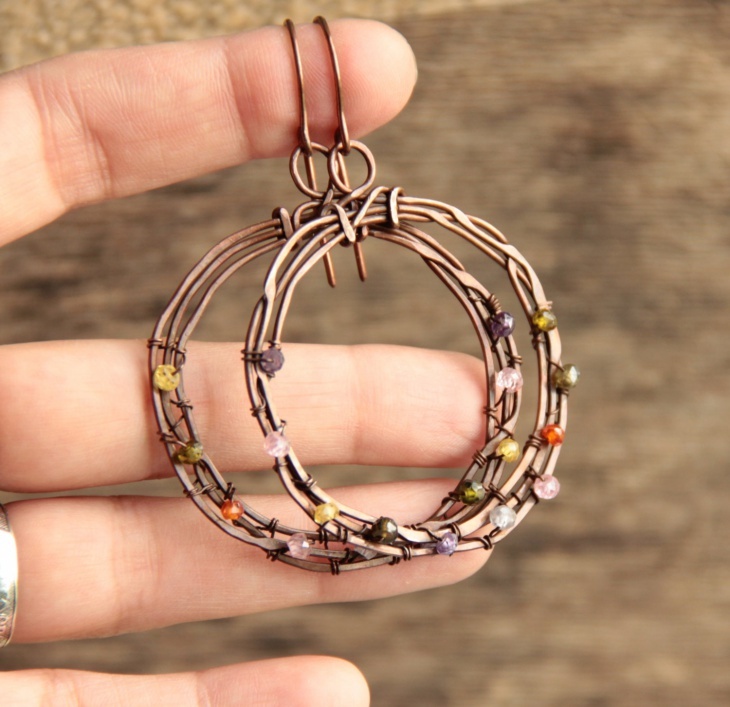 There are numerous wrap jewelry designs that you can make. With a pliers, closures, and findings, you can start the jewelry making project. 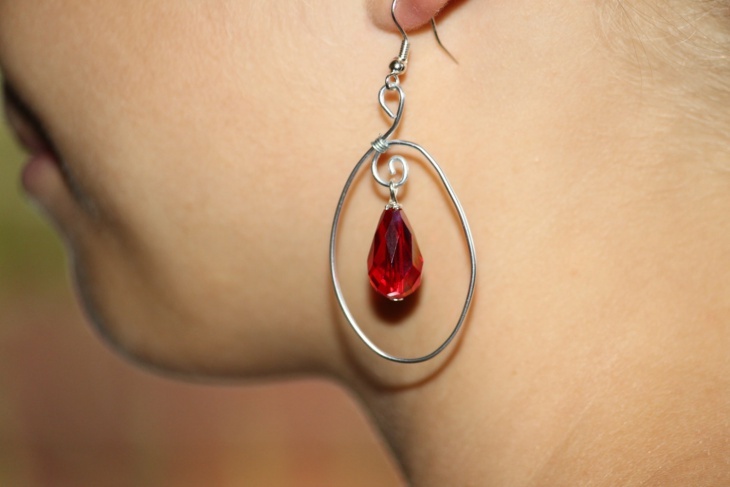 These drop earrings are not attractive. They look like an amateur craft project. You can still wear them and team them up with unstructured garments. They give a bohemian look and bold women who are confident of this style can carry them well. 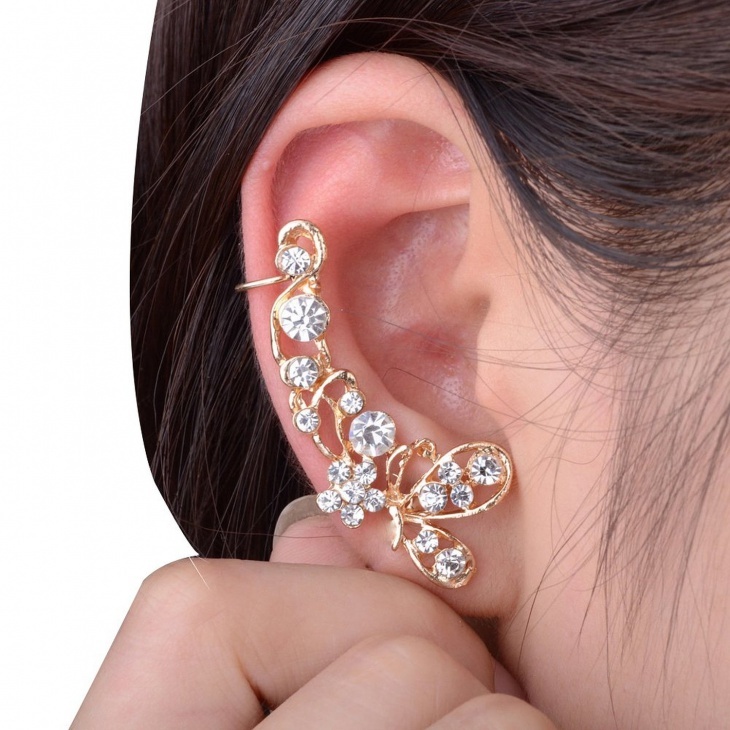 This beautifully carved rhinestone ear piece sits on the entire rim of the year. It has floral design with stones set it. It is only suitable for oriental ceremonies. 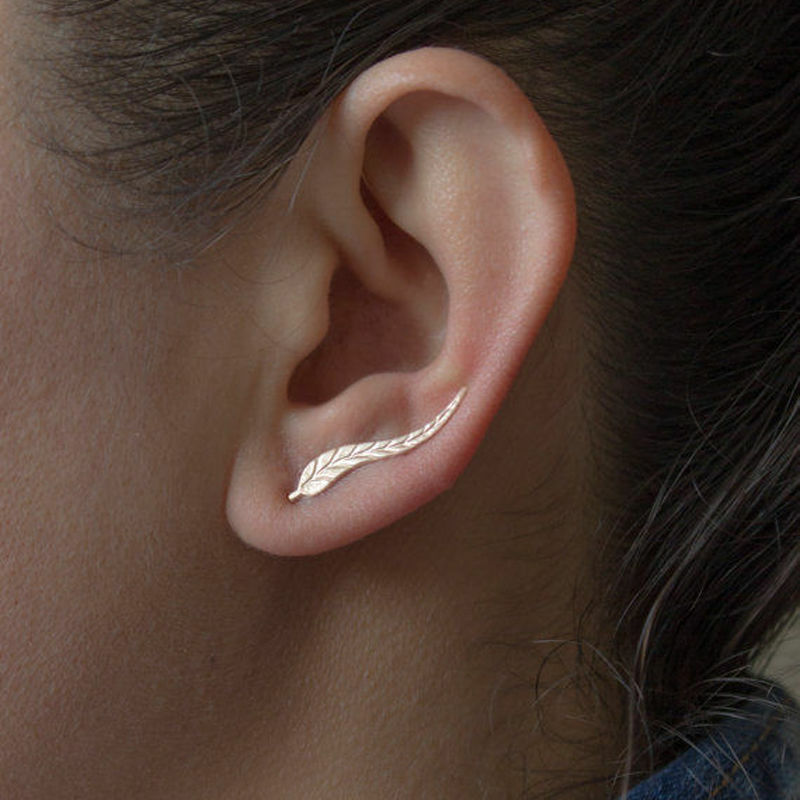 Women of all ages can wear this piece of earring on these occasions. 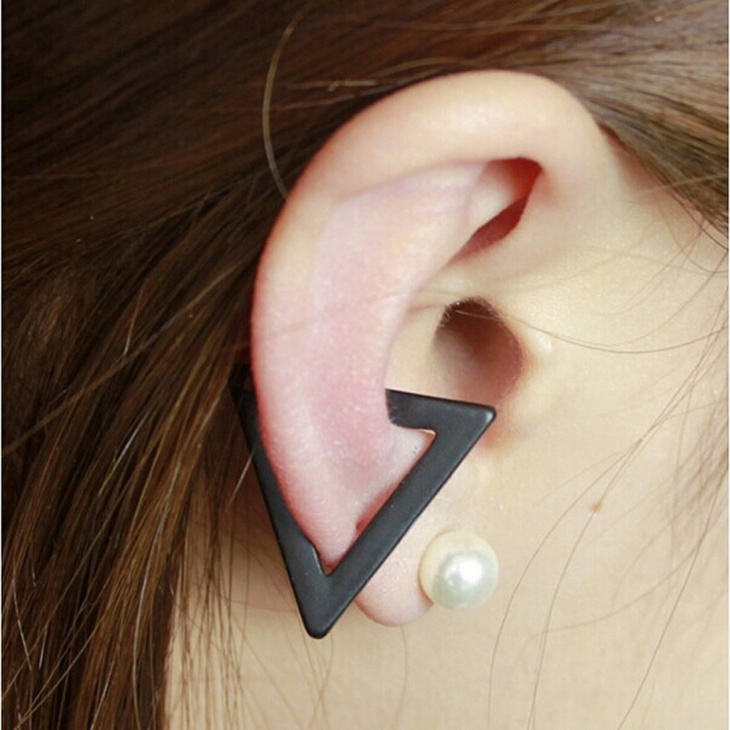 You could also call this style a cartilage earring style. This is the style of earrings in stones that hugs your ear. 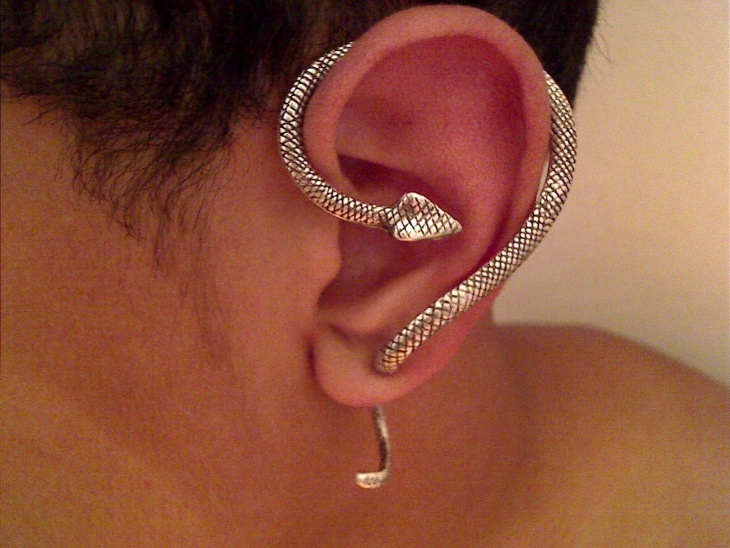 It is silver plated and has closures like any other regular earring. It is suitable for women of all age groups and goes well with most of the garments. 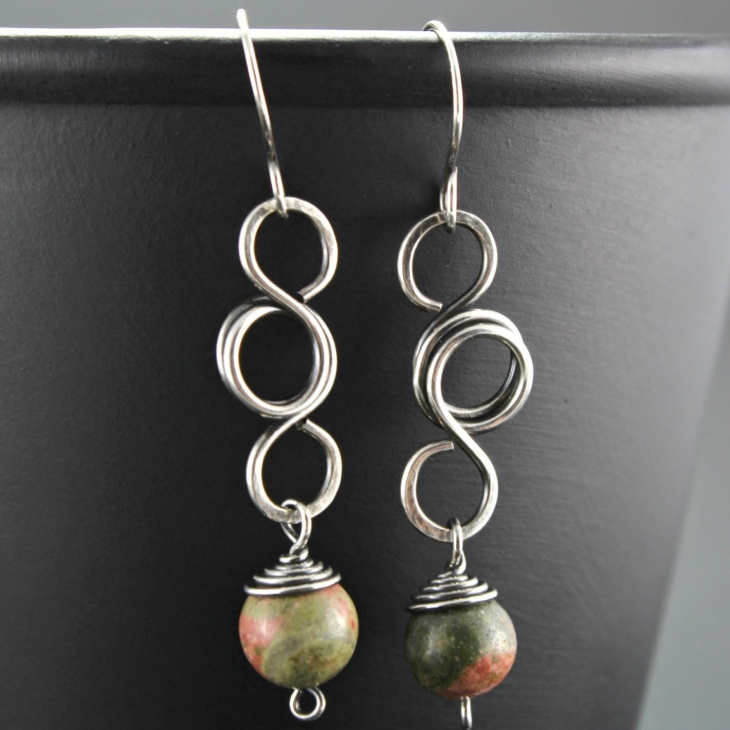 This is a handmade, wire earring that is a totally wrapped up on the entire length of the ear. 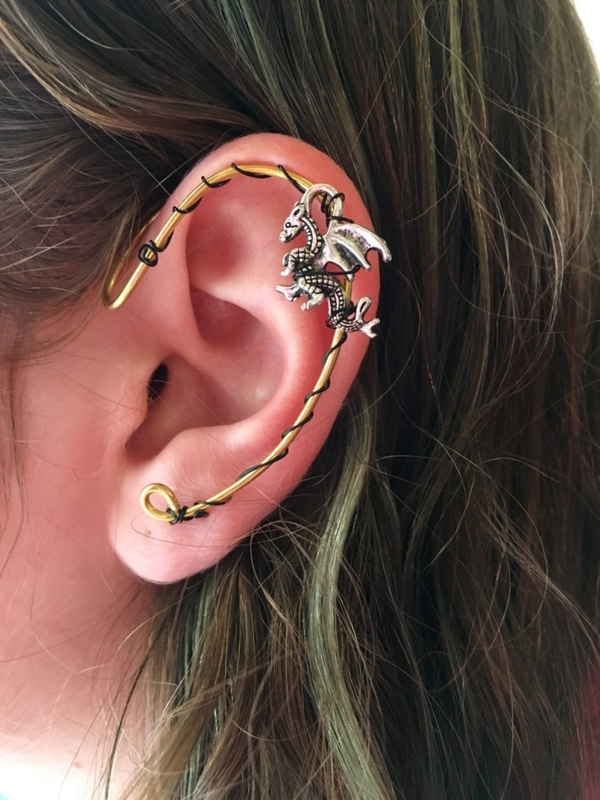 On a brass wire, is hung a silver dragon charm. 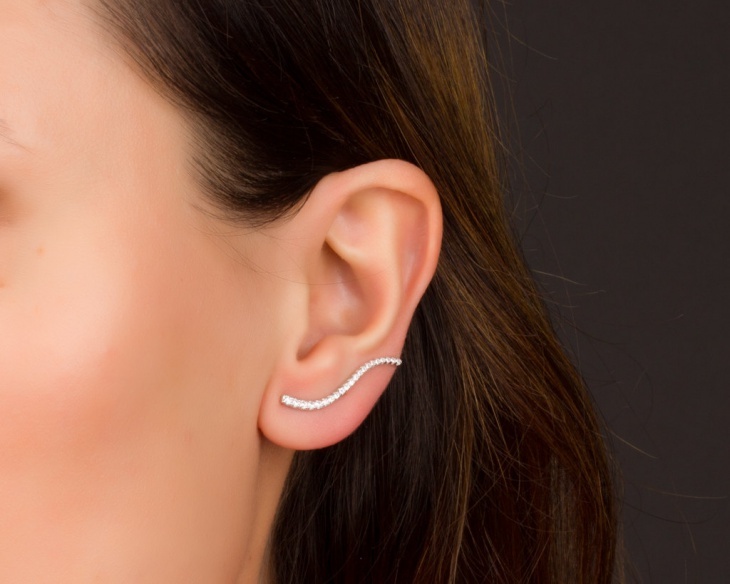 This is a unique looking jewelry that looks good on any women who is bold enough to carry it. 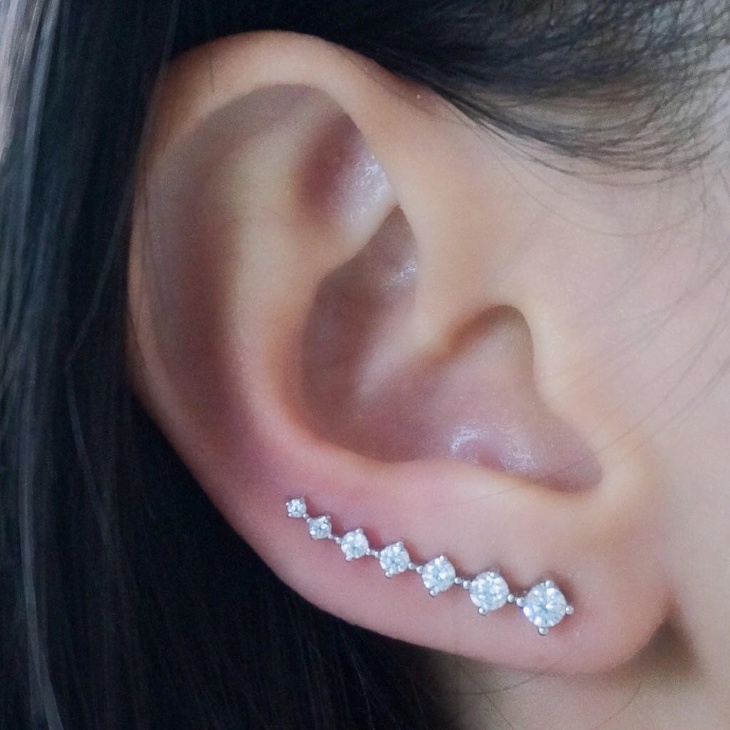 This is more of an ear cuff instead of an earring. It is in the shape of a serpent and goes well with all kinds of contemporary clothing. 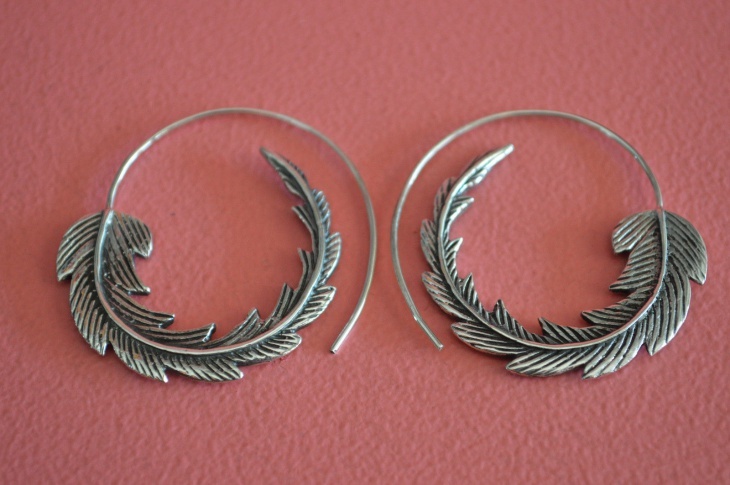 Hoop earrings with a feather design in the end are a unique design for loop earrings. These ear pieces do not have closures. They are made in sterling silver and go well with unstructured garments. These are wrap earrings in the shape of a butterfly. They have white stones set in. They are elegant and look good on any women. They are gold plated. 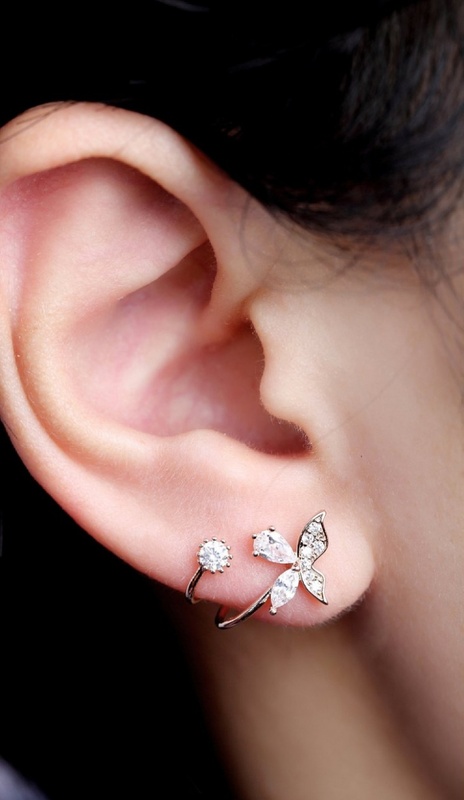 The ears have to be pierced to be able to wear these earrings. These are dangler earrings. 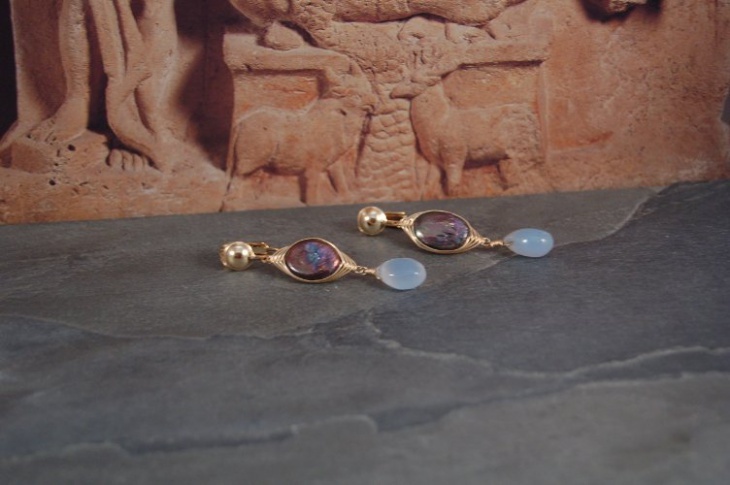 They are set in pearl and blue chalcedony stone. They are made in gold metal wire that looks like a wrap earring. They might not suit every woman. Only those women who have a round or a square shaped face can wear these earrings. These are copper earrings that are made in hoops. 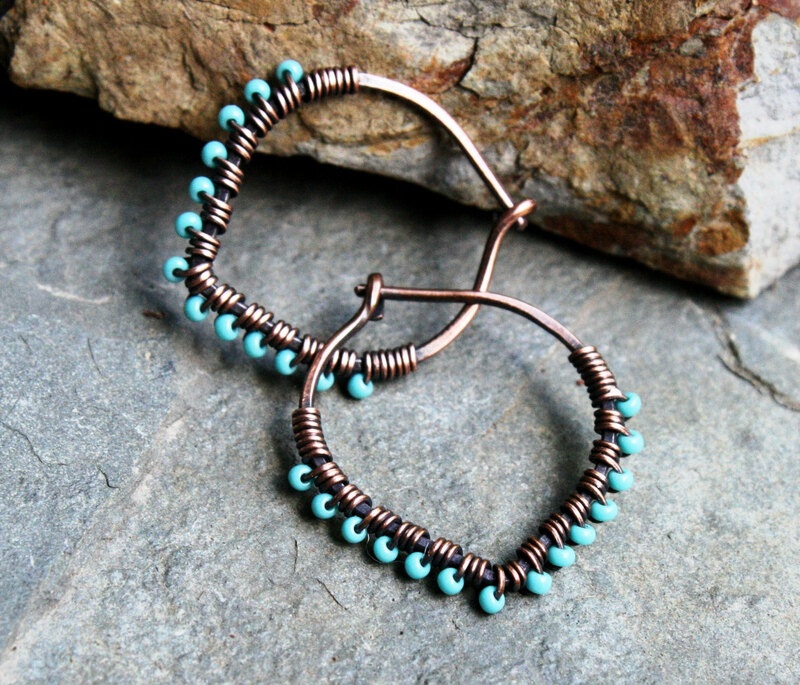 They have beads of turquoise in them and are a handmade wire earring. They are lightweight and can be worn with summer dresses. They look rustic and give a contemporary, artsy look. 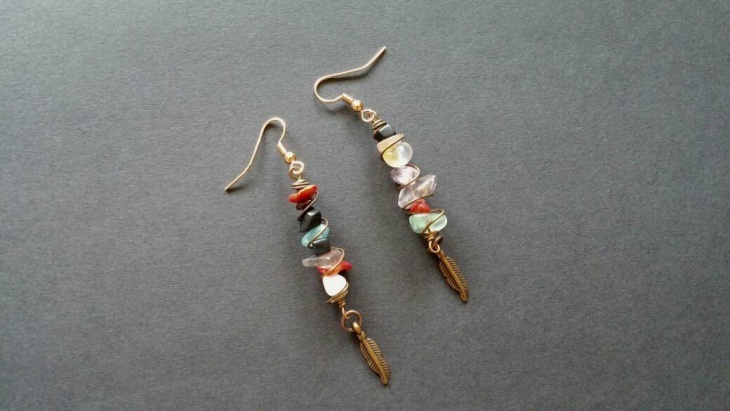 Try this hippe style of wire wrap earrings that have chips of citrine, garnet, amethyst, quartz like stones. This is a colorful earring that looks good on skirts with flare, loose shirts, and a complete bohemian style of dressing. Wear a copper color lipstick when you wear this earring. Wire earrings are handmade. They come in the most innovative designs. Artisans and handicrafts artists make them in the most stunning designs bringing together pieces and creating a stunning ear piece. Pearl earrings make a woman’s visage look elegant. They can be set into wire jewelry designs. Different wrapping techniques are used to create these kinds of earrings.